Join me for an all-color photographic and descriptive journey across the beautiful island of Newfoundland and experience the last 30 years of Canadian National’s historic railway. We will ride on the famed CARIBOU, affectionately known to many as the “NEWFIE BULLET.” You will see stations, equipment and trains from coast to coast, as well as on the branchlines. The Grand Falls Central and Buchans lines are also included thanks to my friend, railroader Stan Smaill. 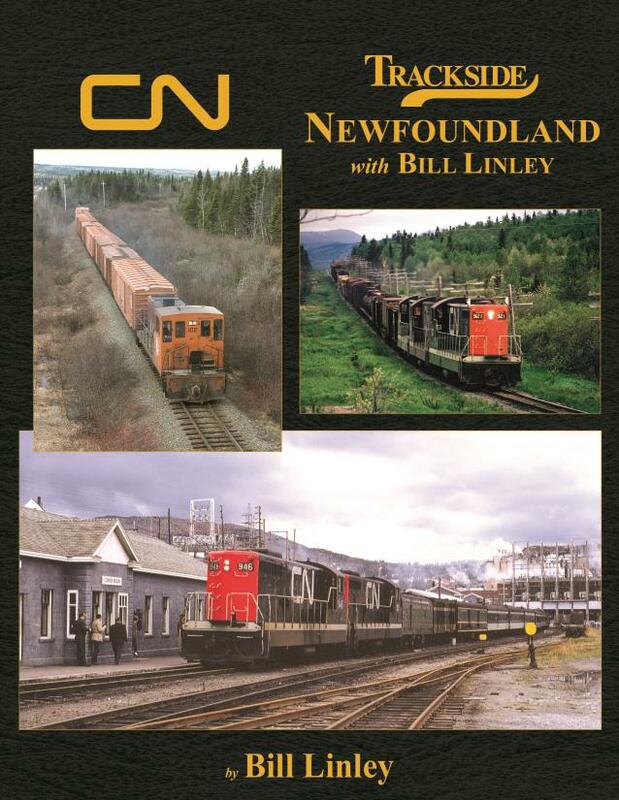 It’s all here including a detailed history of the Newfoundland Railway from its origins to the last days of Terra Transport’s operation in September 1988. You will find employee timetables, a freight car synopsis, the story of dieselization, and a unit by unit all-time diesel roster. Rounding out the coverage we’ll see the ferry connections to Nova Scotia, the Coastal Service, and even the Roadcruiser service. Over 240 of my images with carefully researched, extended captions explain the many fascinating aspects of this unique and colourful narrow-gauge operation.